WMAQ-TV: “A 26-year-old Chicago man was rescued from an Englewood building that caught fire Monday morning, officials said. Check out the raw footage of the save here! A grandmother and granddaughter were rescued from a Cleveland house fire on Friday morning. It happened at a duplex in the 3000 block of East 123rd near Buckeye around 10:30 a.m. Cleveland firefighters entered the home and brought the pair to safety from the second floor. Fire began in the living room. Firefighters are investigating what sparked a fire in northwest Atlanta that injured at least three people, including two firefighters. The fire happened around 10 p.m. at a home on Northwest Drive. Fire officials told Channel 2 Action News that a resident was pulled from the home. They said emergency crews performed CPR on the person and they were able restore that person’s pulse. An apartment fire that injured six people on the South Side of Chicago Wednesday night was set by an angered girlfriend who lit her boyfriend’s couch on fire following an argument, police said. Officers called to the scene spoke with an injured man who told them his girlfriend had set his couch on fire after the two had a fight, police said. Six people, including a child, were injured when heavy flames spread from a single apartment to a hallway of the four-story building. The fire broke out around 10 p.m. CFD Firefighters helped people out of the building, and six of them were taken to hospitals. None of the injuries were considered serious. A woman and a Rochester firefighter were rescued late Thursday night when flames trapped them on the second floor of a house on Aberdeen Street. The fire was reported at 387 Aberdeen St., on the city’s west side, shortly before 10 p.m.
Lt. Edward Kuppinger of the Rochester Fire Department said that after it was determined a person was trapped on the second floor of the house, a firefighter went inside to attempt a rescue. However, flames blew up a stairwell, trapping the two. A second firefighting crew then entered the 2 1/2 story wood framed house and were able to rescue both the woman and firefighter, Kuppinger said. THE BRONX – One person is dead and three family members seriously hurt after a Throgs Neck home burst into flames. According to the FDNY, the fire broke out on the first floor of the three-story house at 326 Swinton Ave. just before 4 a.m. The victims were all rushed to Jacobi Medical Center in cardiac arrest. Ramon Velez, 58, the son of a former Bronx politician of the same name, is in critical condition. His wife, 55-year-old Enriqueta Velez passed away. Their 5-year-old granddaughter and an older mother-in-law are still be evaluated. Toledo Fire & Rescue Dept. 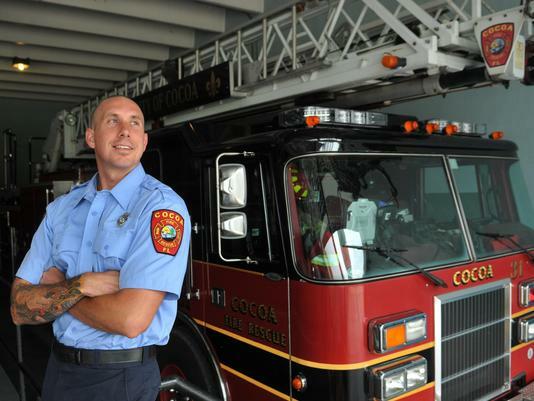 Last week the City of Cocoa Fire Department rescued a woman from a well involved house fire using VES. First due Engine had a report from PD that a woman was trapped in a bedroom. Members VES’d the room, closing the bedroom door, finding the woman unconscious. As the Engine Company removed the victim to the window, the first due Truck Company assisted in taking the woman out of the window. They found pulses on the female, and rendered aid. The lady ended up not only gaining consciousness on the scene, but refused transport! Here is a nice article written on the event. VES saves lives!!!!! A woman was rescued from a third-floor apartment this morning after a fire broke out below in the building in the 1000 block of Hodiamont Avenue about 10 a.m. 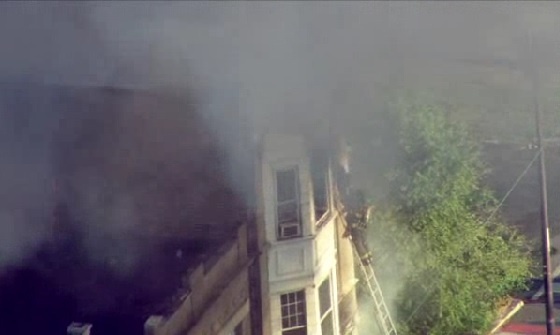 Firefighters used an aerial ladder to rescue the woman, said St. Louis Fire Capt. Dan Sutter. The woman was taken to an area hospital for observation. No one else was injured in the blaze. 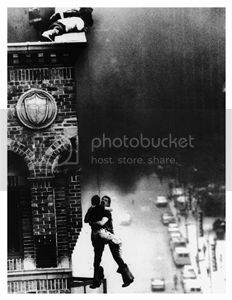 A child playing with a lighter set fire to a second floor apartment. The apartment received heavy damage. Sutter said firefighters were able to bring the fire in the 12-family building under control quickly. Heavy smoke engulfed the second and third floor of the structure but residents were able to return to their units. The American Red Cross was on the scene assisting residents.